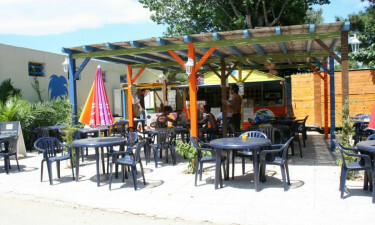 Le Trivoly offers the perfect blend of sun, sea, tranquillity and activity that makes a memorable camping holiday. With its on-site water park, entertainments, sports and a superb location just 800m from the beaches of Torreilles, Le Trivoly LuxCamp offers something for everyone. This luxury camping site with mobile home accommodations is set in verdant surroundings midway between the mountains and the sea. With a heated aquatic area on site, you might never want to explore further, but the nearby village of Torreilles offers 6km of unspoilt sandy beaches. Visit the mountains and caves near Perpignan or take a trip over the border into Spain. Why choose a luxury camping holiday at Le Trivoly? 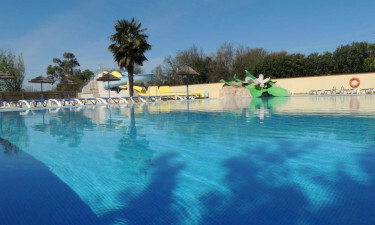 At the heart of Le Trivoly campsite is a large pool complex where exercise classes are a regular feature, and older kids will love the thrill of the water slides. 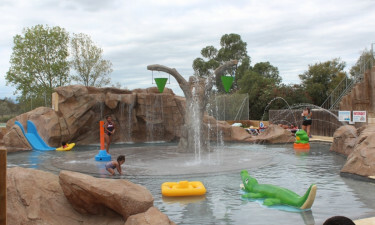 Little children will be enchanted by the splash and paddle area where they can play safely. Guests who prefer the beach will find that the coast is just an 800m stroll away, where they will discover beautiful pristine beaches for swimming, sunbathing or sandcastles. For those seeking more excitement, sailing, snorkelling and windsurfing are on offer.